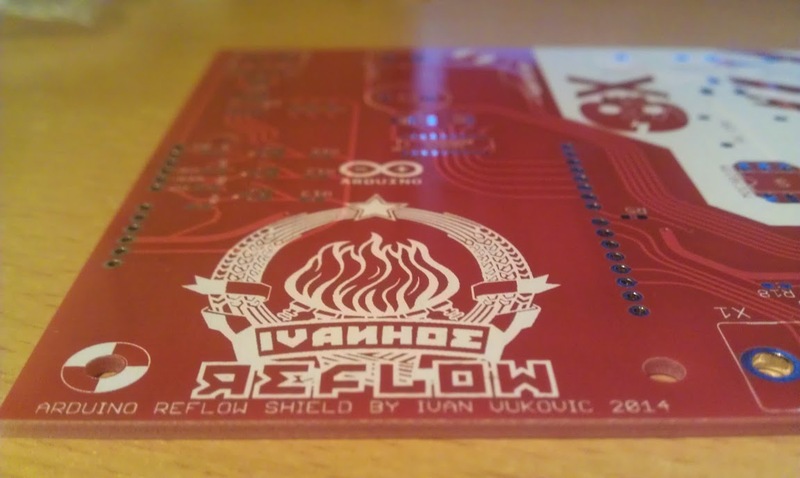 Since I want to get back into electronics as a hobby I decided it would be great to have a reflow oven at hand. shouldn't I join their ranks . 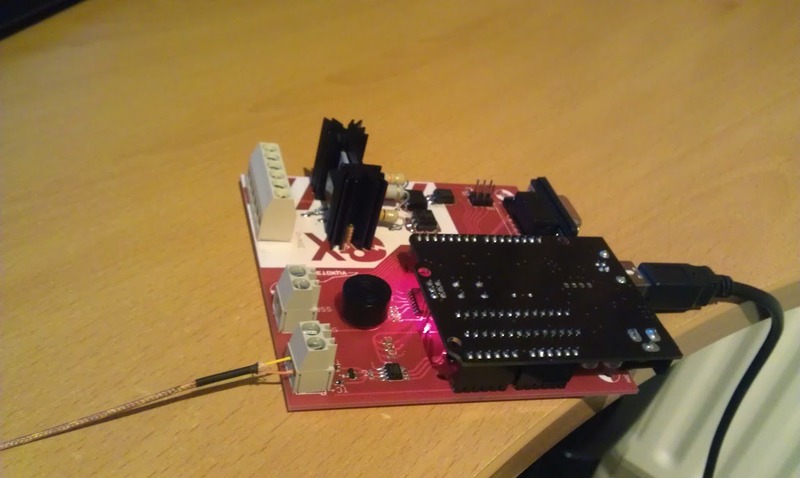 -No need for an onboard MCU, so just sticking a full arduino on there will do just fine. a halogen lamp, I decided to go for triac leading edge phase control, should keep the halogen cycle going. -This is my first time dabbling with mains, so I'll stick a control output for a zero crossing SSR on there just in case. 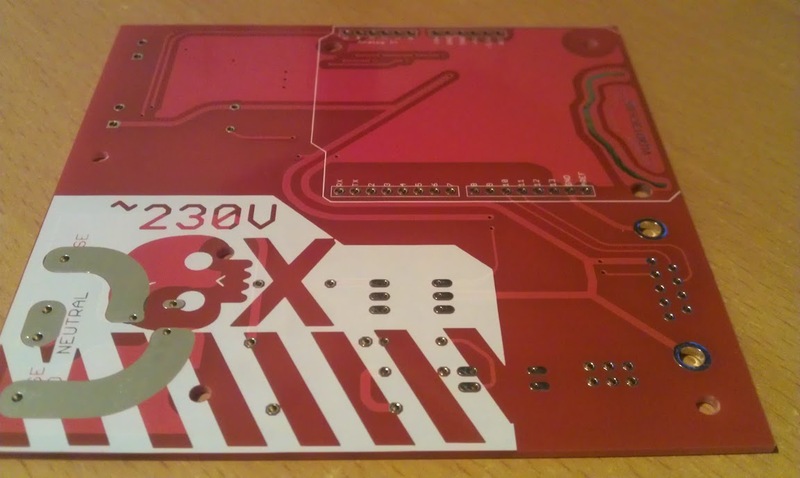 -Minimal hardware user interface.. will probably run it connected to a pc with a GUI. Still busy with the design of the thing.. but I'm pretty much done. Got a bit too creative with the silkscreens, but that's part of the fun. 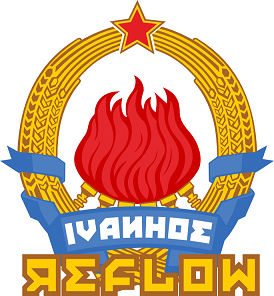 Killed some time doing up a logo.. let the old country inspire me since I'm on a short holiday in serbia to attend a wedding. Gotta love old commie imagery. only cost 30 euro's delivered to my doorstep. If Mr.T says it's the best, I would be a fool not to buy it, right? Thanks Fred, that's the result of me discovering the miter tool in Eagle. 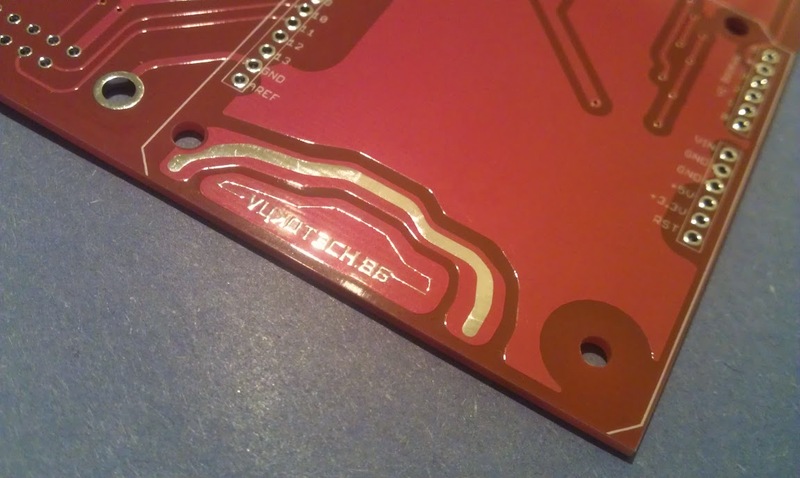 Thought it might be fun to do curvy traces for a change. while still fitting the 10x10cm size constraint for cheap chinese production. the routing, it's really hard to correct things afterward. Yes.. hasn't worked since my parents changed provider a while ago. I'll see if I can fix it. i got such a "kitchen tool" for free and never know what to do with it. Nice quality for 30 dollars shipped (10 boards), I used Elecrow this time round and I'm happy with their service. The mains side of the board, it all looks so dinky IRL, but it 'should' be able to stand up to about 7 amps on the triac circuit according to my calculations. but I left a 5mm shortest route bare so I can solder some wire on there to reduce trace resistance (again, expect max 7 amps to pass here). red where there is no copper. to find all the correct resistors and capacitors etc for the rest of the board. Finished initial assembly of the board, just need to find some thermal paste before I can fit the insulator for the triac. As is often the case, I didn't get the board right the first time round. There are a couple of areas that need improvement. 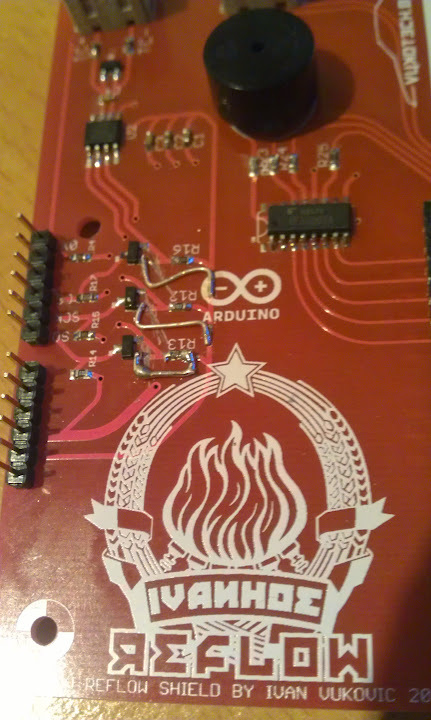 For starters my nifty logo should not be hidden by an arduino next time around. 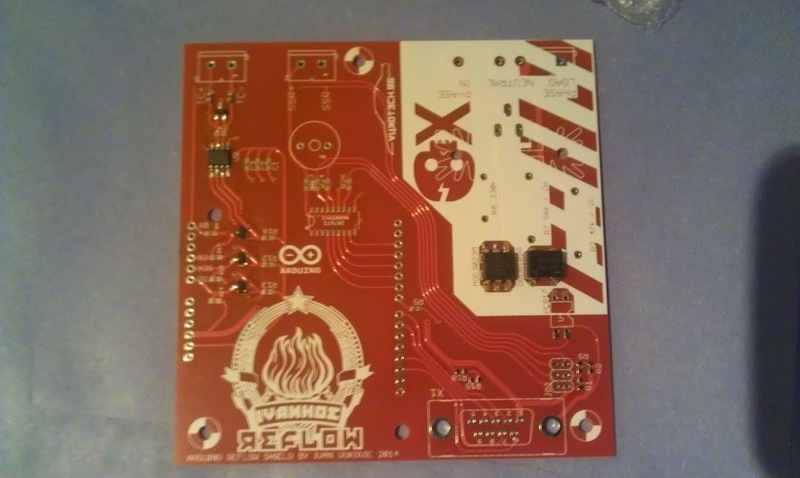 the 5v Arduino and the 3v3 MAX31855, and they are all 3 wrong. Had to do a little rework to fix this (luckily hidden from sight once arduino is installed). 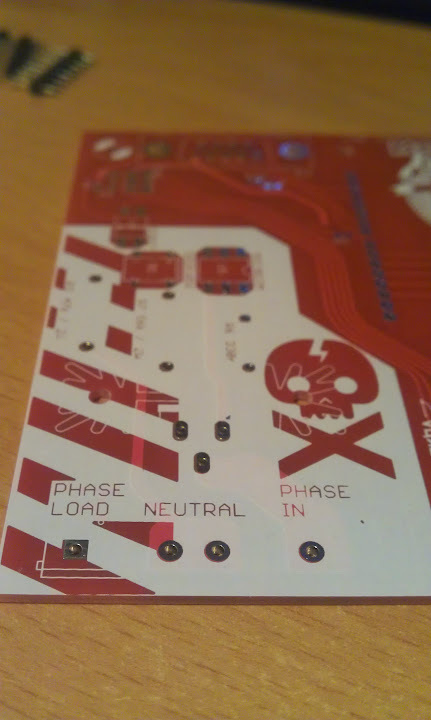 have a 10 board minimum order from the PCB fab. to fab up some (wooden or plastic) enclosure first so I cant touch anything by chance. Finally picked this up where I left it a few months ago. -Properly mounted the triac to the heatsink. 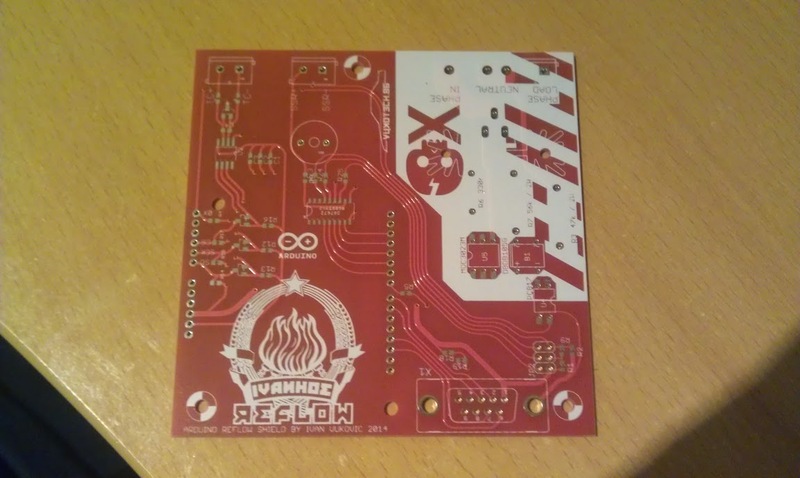 -Tested the MAX31855 with an actual thermocouple (works a treat). This one was a bit iffy.. I neglected to put this on a regular external interrupt pin so I had to dig up a library to use the pin change interrupts. 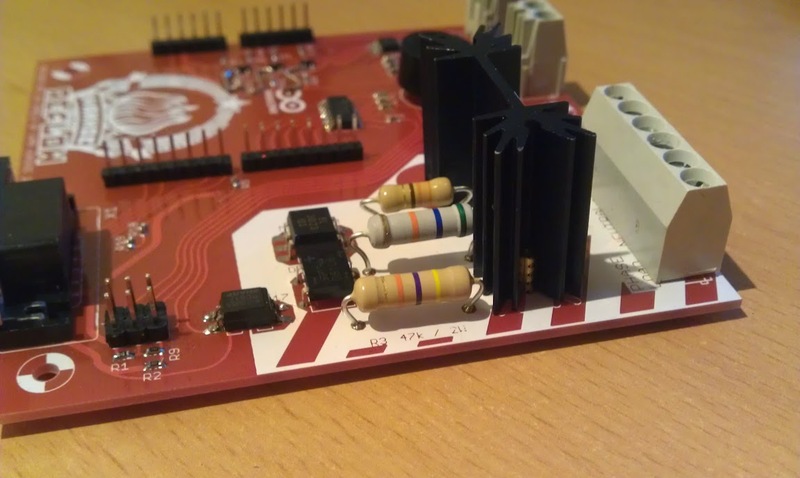 Did learn that those are really useful when you need more than 2 interrupt pins on your old ATMEGA328. on what flank you trigger the interrupt from). But it's stable enough to work around this with a fixed offset. -Tested the triac with an incandescent bulb. I tried my hand at dimming a lightbulb with the triac. This is an easy feat, but I wanted to hand this all off to timers so it could work on interrupts. that allow proper timer reset without having to reattach my interrupt all the time (in the end that was the only thing wrong with the original library). Did learn a lot about timers in the process, and that's actually more important than the board doing what it is designed to do eventually. -Wire up a button and LCD display board so I can test those interfaces. -Reacquaint myself with PID control. Again some minor process on this little distraction of an electronics project. 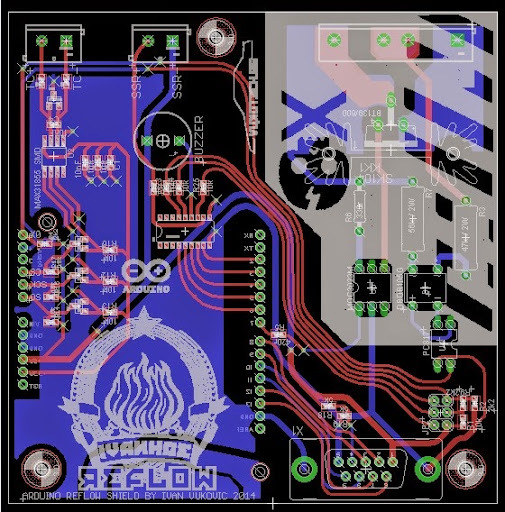 Having sussed the thermocouple interface and TRIAC phase control aspects out I set out to bring the 2 together into something a step closer to a reflow controller. I coded up the MCU to dim a lightbulb as temperature readings increase, and it all works as you would expect. the shielded one just adds a big delay to the temperature response. No amount of faffing about with the components / adding filtering capacitors seems to have a noticeable effect on this issue, so I have put a workaround in place. A kalman filter was just the ticket. I have no scientific idea of what I'm doing, but the math works, and my output is now smooth as a babies bottom. Good enough for me.. next step: put my triac to the test and see if it will survive the oven's current draw at full blast for 10 minutes. especially not with anyone around.